Yesterday the largest book fair in the world kicked off in Frankfurt am Main, Germany. A quarter of a million attendees will visit over 7000 exhibitors from 100+ countries. Unlike the Bologna Book Fair that I wrote about in March, this gathering focuses more on international rights and licensing of all published genres, rather than just children’s books. That being said, many exhibitors still promote their new children’s book titles and backlists along side their adult offerings, and I am eager to hear about upcoming pop-up books being presented this week. While I did not have a chance to go to the Frankfurt Book Fair last year during my time in Germany, I was able to speak with some German paper engineers like Maike Biederstädt who did show work to various international publishers and agents. Hopefully, she will be able to walk the crowded halls this weekend and share some insights on the experience of such a large fair. I would also love to hear from any of my other readers if they want to send in a report from the Buchmesse. 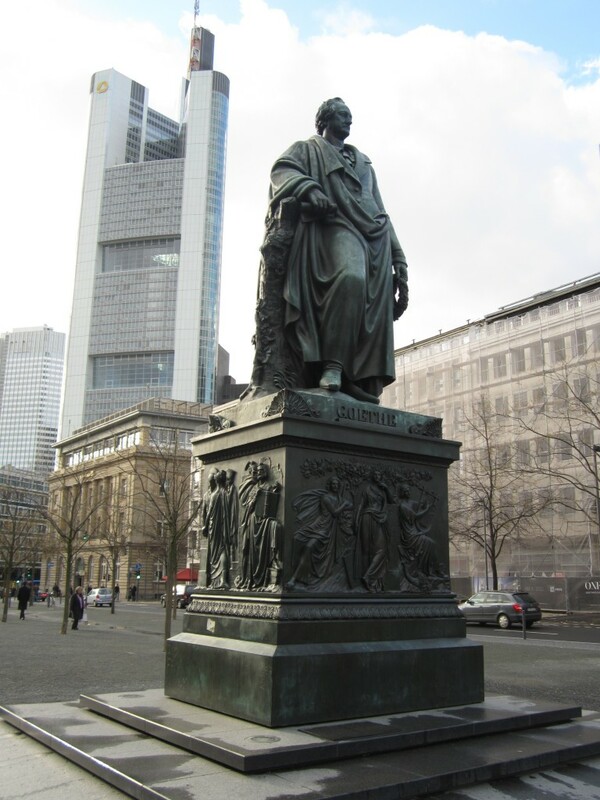 The Frankfurt Book Fair has been a mainstay and focal point for the publishing world for the past 500 years! That means that it started up a few decades after Johannes Gutenberg began using movable type and the printing press. Imagine what an exciting time it would have been around the year 1500 when booksellers and printers where sharing printed pamphlets alongside illuminated manuscripts. In this day and age, I think we can find a parallel sentiment as publishers create ebooks and digital apps alongside hardcopy and paperback editions. There continues to be a great dialogue about the roles and place for digital and traditional publishing over the past few years and it was a central discussion at the recent Movable Book Society conference that recently convened in Salt Lake City. (More posts about that soon, I promise!) After speaking with many librarians, artists and collectors, I walked out of that event confident that there is a desire and need for both mediums and that pop-up and other novelty books will stand side-by-side with e-readers and tablets. It is encouraging that this very issue is being addressed at the the Frankfurt convention hall this week according to the recent video clip below. Now, back to making pop-ups. This entry was posted on Thursday, October 11th, 2012 at 10:25 am	and is filed under Uncategorized. You can follow any responses to this entry through the RSS 2.0 feed. You can leave a response, or trackback from your own site.